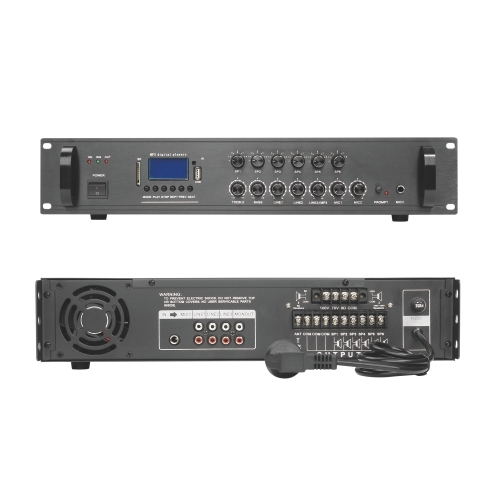 Public address, voice announcement, recorded music, digital messages can be easily achieved with our mixing amplifier. 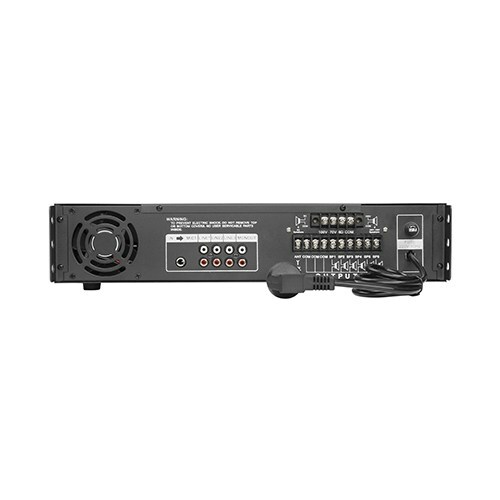 Able to supply up to 6 speakers with independent volume control, it also supports different input sources for your convenience. 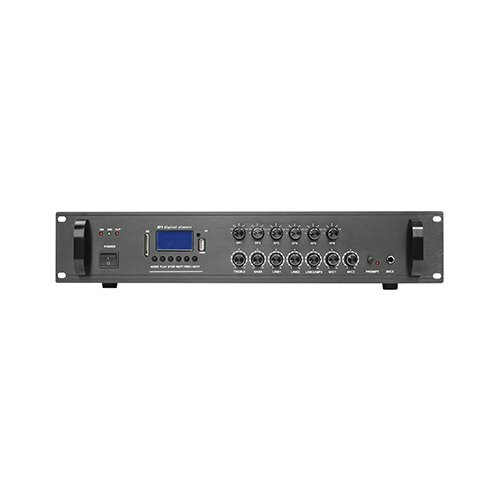 You will Sturdy and durable, our built to last amplifier will provide you life time of satisfaction.